Disney has numerous films they have made over the years and most have found some way to make it into the parks. It is a rare film that has never made it into a park. In this series, we are going to talk about all of the little references to films in the parks. We are going to start with the movie Who Framed Roger Rabbit which is a film which combined animation and live action to create a world in the 1940s where toons are real and under threat from the evil Judge Doom. In it, the popular toon Roger Rabbit is framed for murder and must save himself and the other toons with the help of his wife Jessica and toon hating human detective Eddie Valiant. This featured countless classic Disney characters and Loony Toons characters. This was a very popular film through the '90s but it was forgotten due to contractual disputes between The Disney Company and the creative team behind the movie that prevented the use of the characters without their consent. Many references to Roger Rabbit were removed. There was a Roger Rabbit play area in Disney's Hollywood Studios. He was in many parades and stage shows, including Spectromagic. Roger Rabbit was a fixture of the parks and many of the references are still there today. A ride, Roger Rabbit's Cartoon Spin is still open and popular today in Toontown at Disneyland and Tokyo Disneyland. Toontown at Disney World was also based on the film, but with mainly subtle references. Toontown at Disneyland features numerous references to the characters. Even the bathroom signs feature Roger and Jessica Rabbit. Some characters from the film, Roger Rabbit, Jessica Rabbit and Eddie Valiant have met guests recently at Disneyland Paris. 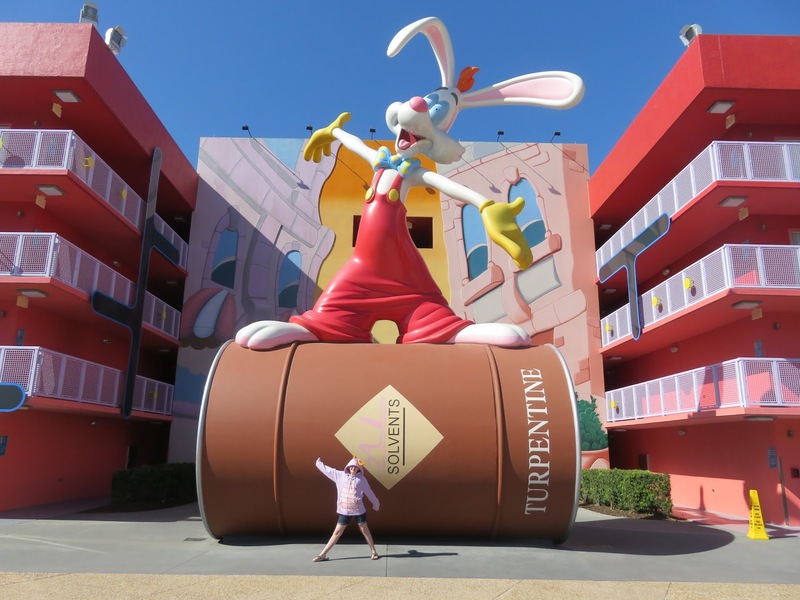 Beyond theme parks, Disney World's Pop Century features a section themed around Roger Rabbit including a giant statue of him on a case of Dip. Disney World has removed most references to the movie, but a few still exist. The restaurant Sunshine Day Cafe in Disney's Hollywood Studios features the sun from Roger Rabbit in the background. This is a small enough reference that you have to know to look for. Finally, a billboard advertising Maroon Toons, the animation company Roger, Jessica and Baby Herman work for in the film still exists atop a building in Echo Lake of Disney's Hollywood Studios. Know of any other Roger Rabbit references in the parks? What movie should we do next? Let us know in the comments below! Also if you enjoyed be sure to subscribe below!